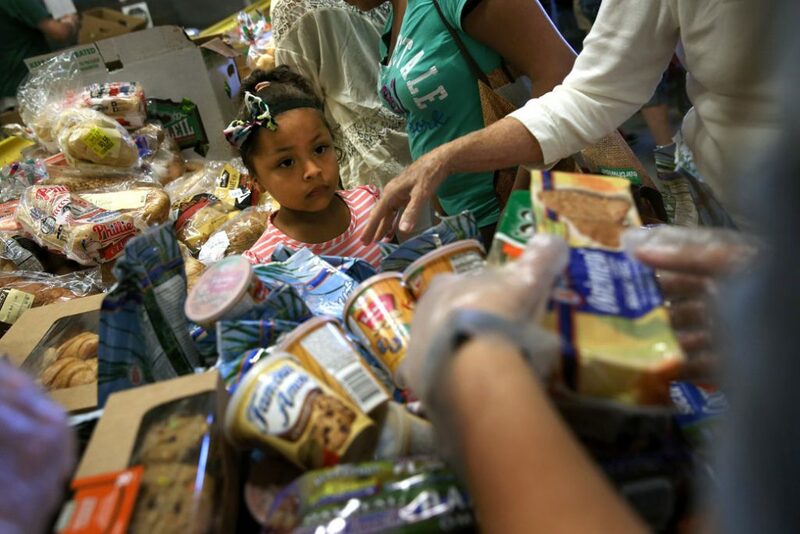 Today, the U.S. Department of Agriculture (USDA) released its annual study of food insecurity, which showed that, at some point during 2017, nearly 1 in 8 American households—including 2.9 million households with children—struggled to afford adequate food. This comes just weeks after President Donald Trump’s Secretary of Agriculture, Sonny Perdue, announced major changes designed to politicize and weaken the agency that produces these data: USDA’s Economic Research Service (ERS). Coming from an administration that has sought to downplay the very existence of poverty in America, these latest changes signal that it is now seeking to target agencies that measure the nation’s poverty, in a move that represents Trump’s latest blow against the research integrity of public institutions. On August 9, the USDA announced that the ERS—as well as the National Institute of Food and Agriculture, an agency that administers federal funding and grants for agricultural research—would be relocated out of the Washington, D.C., area. This was quickly followed by an administrative order to move the ERS from its long-standing home in the research arm of the USDA to the Office of the Chief Economist (OCE)—which sits within the Office of the Secretary, where many political decisions are made. Such a move would reverse a 1994 decision to house the ERS in a part of the USDA where its work is sheltered from potential partisanship. Secretary Perdue argued that the moves would improve staff recruitment and retention, locate the ERS closer to its stakeholders, and reduce costs. However, the department has provided no evidence to support these claims. These changes have been widely panned by agricultural groups, nutrition researchers, and scientific integrity organizations, all of whom are concerned that the realignment will damage the integrity and transparency of publicly funded research, as well as degrade the quality of data that are made available to evaluate the effectiveness of USDA policies and programs. This column considers these impacts—and places the changes in the context of other efforts to reduce the availability and transparency of important data that have accelerated under the Trump administration. The Economic Research Service is one of the primary analytical agencies within the USDA. Economists and analysts at the ERS provide research and expertise on a broad range of topics, helping agencies and the public understand the effects of various policies, programs, and market trends. The agency’s work covers nearly every aspect of the food system, from nutrition assistance programs and food safety to commodity markets. The ERS also researches topics that affect rural America, including trends in rural economies and in conservation of natural resources such as soil, water, and wildlife. Along with blindsiding affected employees, the decisions to relocate ERS offices to a yet-to-be-announced location and to reposition it under the OCE raise questions about the future of the agency’s autonomy and strength. Shortly before announcing the proposed moves, the USDA shook up the ERS leadership by reassigning Administrator Mary Bohman to the Animal and Plant Health Inspection Service. As Congress has largely ignored the administration’s proposed massive budget cuts to the ERS, shifting the agency to the OCE may be the administration’s next best effort to weaken it. The move could influence the agency’s research by imposing close oversight by political appointees and by removing the ERS from the hub of policymaking in Washington. It will likely also result in the loss of many experienced economists and analysts who are familiar with USDA programs and data needs. The ERS conducts research on a number of issues that the Trump administration has attacked. For example, the agency is responsible for tracking the prevalence of food insecurity in the nation—as well as the effectiveness of programs designed to combat food insecurity. This includes the Supplemental Nutrition Assistance Program (SNAP), the nation’s largest anti-hunger program, which helps more than 40 million Americans who struggle to put food on the table. Yet the Trump administration has sought to slash this program by more than 30 percent. Secretary Perdue’s announcement comes as House Republicans and the Trump administration attempt to push through a farm bill that would substantially restrict SNAP recipiency. However, ERS research contradicts some of the messaging that these policymakers have used to support restricting food assistance. The data and research from the ERS are critical for farmers and ranchers. The agency has a unique role in helping the agriculture sector understand market trends of crops and livestock. It publishes long-term projections on commodity production, trade, and consumption. The ERS also produces economic research briefs on emerging issues affecting the farm and rural economies, such as increases in drought-related disaster payments for livestock producers and the role of manufacturing in rural areas. Finally, the ERS evaluates the performance of USDA conservation programs, including programs on managing agricultural lands and forests to store carbon and contribute to national initiatives that address climate change. This research is critical to USDA agencies and partner organizations. However, it runs counter to the administration’s stance on climate change, evidenced by ongoing efforts to defund and deconstruct climate change research. One of the most important services that federal agencies provide is making data freely accessible and readily available to the public. Businesses use data to make decisions about products and customers. Public data enable researchers to find new insights and to identify gaps, inequities, and disparities that can be addressed by good policy. Often, government data form the basis of policymakers’ decisions. Despite the importance of public data, there have been several attempts to dismantle the agencies that produce this information—and specifically, their budgets. Going back to 2001, Congress has consistently appropriated less funding to the Bureau of Labor Statistics (BLS) than requested in the presidents’ budgets. In recent years, the BLS, which conducts important research on prices, wages, jobs, and local labor markets, has already been forced to reduce and eliminate data programs and surveys. And in 2012, House Republicans voted to eliminate the U.S. Economic Census and the American Community Survey, citing privacy concerns and wasteful government spending. These surveys provide regularly updated information on businesses and individuals. Under the Trump administration, this attack on public data has ramped up, even putting the constitutionally mandated decennial census at risk. Due to a lack of funding and support from the administration, the U.S. Census Bureau is limited in its ability to prepare for the next census. Meanwhile, the Department of Commerce, its parent agency, is caught up in court, defending the administration’s proposal to include a question about respondents’ citizenship status—which, experts say, will threaten the accuracy of the census count. The Trump administration’s plan to relocate and reposition the ERS provides good reason for concern. The agency provides insightful, objective research on a wide range of issues, including nutrition assistance and environmental conservation—areas in which the administration is actively pursuing major cuts or changes. Given the administration’s recent attacks on public data and research in other agencies and departments, these proposed moves are especially disconcerting. Today’s data release revealed that nearly 1 in 8 households face food insecurity. This exemplifies the important role that the ERS plays—particularly during an administration that has sought to downplay poverty and hardship in America. For both sound policymaking and private enterprises, it is critically important to ensure that high-quality data are accessible and relevant. Maintaining these processes at the USDA should be a high priority for the administration, and Secretary Perdue should reconsider these ill-advised plans to alter the ERS. Ryan Richards is a senior policy analyst for Public Lands at the Center for American Progress. Andrew Schwartz is a policy analyst of Economic Policy at the Center. Rachel West is the director of research for the Poverty to Prosperity Program at the Center.